Is a Nanny Right for my Family? Sadly, quality childcare is difficult to find in many communities. Because of this, many new parents quickly realize a very difficult part of raising their children is figuring out when and how to trust their children in someone else's care. It's important to note that children do not benefit from spending all of their time exclusively with their parents. It is important that children learn how to trust other caregivers and are given the opportunity to develop loving relationships with other responsible and caring adults. At the same time, parents need to care for themselves and meet their own needs to be the best parents they can be. Adults need a variety of experiences and stimuli to remain well-balanced. A parent who works, spends time alone, has a chance to pursue her interests outside of the home and spends quality time with her children will always make a more suitable role model than one who is constantly exhausted with the very trying role of child rearing. Whether you work full-time or are a full-time homemaker, there will be a time when finding suitable childcare for your children is essential. Institutional daycare and after-school programs offer helpful childcare options. Like schools, they teach children valuable life lessons concerning sharing and getting along with other people, as well as basic coordination and life skills. However, it is often difficult for parents to get to know every member of the staff personally, and in many cases, it is often difficult for every member of the staff to get to know every child well. If you only need childcare for a few hours a week, you might be thinking about hiring a local babysitter instead of enrolling your child in a daycare program. Hiring a babysitter can be a viable option, especially if you want to have a date night or have to attend an event and simply need someone to watch your child for a few hours. However, since babysitters only provide temporary or occasional short-term care, babysitters typically don’t understand the nuances of your child's behavior or see them enough to develop a close bond. For consistent, personalized and customized childcare, many people find that hiring a nanny is a great option. Most nannies are professional childcare specialists and are looking to build a lasting relationship with the family for whom they work. Whether it is for full-time, part-time, live-in or live-out childcare or childcare for the summer months only, as a household employer, you can specify the hours and schedule that you need a caregiver for. As an employer, you are the boss. Unlike with daycare, you can outline the duties, responsibilities and tasks your provider must undertake. Many nannies are certified in early childhood education or have experience in the health sciences. Some are even credentialed by the International Nanny Association or certified by an approved program of the American Council of Nanny Schools. Some nanny employers are surprised to learn that a nanny candidate has more experience with children than they do. Seasoned nannies are able to share trusted advice and practical tips with the parents for whom they work. Since a nanny offers personal, nurturing childcare services in your home on a regular basis, you may find that hiring a nanny is the best solution for your childcare needs. For families with several children in need of care or with parents who work long hours and need flexible childcare, a nanny may be the most affordable option. When it comes to childcare, the most comfortable situation for you and your family will always be the best one. 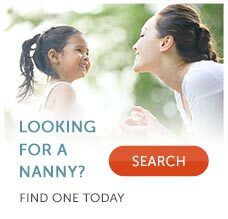 eNannySource offers families and nannies the ability to post job advertisements and find nanny services throughout the United States.